Does a race during Memorial Day weekend qualify as a spring race or a summer race? These are the types of questions that keep me up at night. I'm leaning towards summer, but I'm open to opposing arguments. 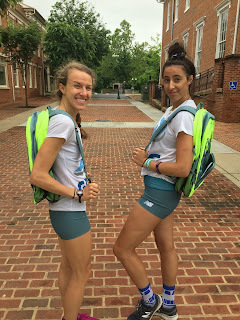 The major event of the weekend took place on Memorial Day proper out in Winchesta, VA. Our crew of Gina, Emily, and Jackie placed 3rd (5:05), 5th (5:08), and 6th (5:18) at the Loudoun Street Mile. While Loudoun County is a veritable hike from DC, this race has a long history of awarding snazzy backpacks to top finishers, and this year's neon colorway was no exception. 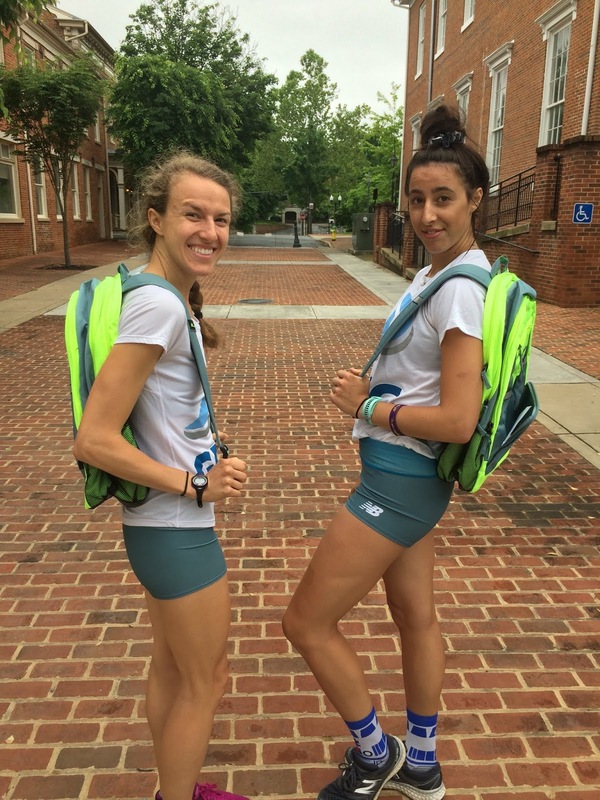 By all accounts, Gina and Emily couldn't even wait 10 minutes after receiving the backpacks to start flaunting them about in the streets of downtown Winchester. Up in Canada, Outlaw closed out his spring season (or started his summer season) at the Ottawa Half Marathon with a 1:14:36.